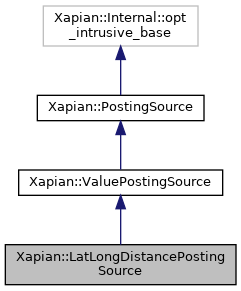 Construct a new posting source which returns only documents within range of one of the central coordinates. centre_ The centre point to use for distance calculations. metric_ The metric to use for distance calculations. max_range_ The maximum distance for documents which are returned. k1_ The k1 constant to use in the weighting function. k2_ The k2 constant to use in the weighting function. Xapian::GreatCircleMetric is used as the metric.